Notice of an upcoming event that might (should) be of interest to local residents. 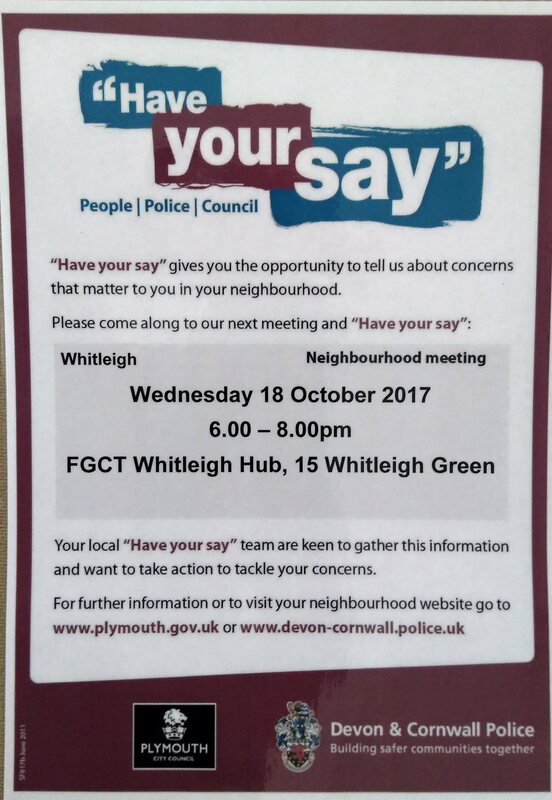 Please do go along to the meeting and let the authorities know what the issues are in Whitleigh and how they are affecting you. The more people that go along and make problems be known the more likely that something will get done about them.